Amitabh Bachchan: The list had to begin with Big B, the man with a voice one can never forget. One of Senior Bachchan's first songs is a cult classic, Rang Barse, without which every Holi is incomplete. His voice has also delved into much softer music with a wonderful song from Nishabd starring the late Jiah Khan called Rozana. But our eternal favourite Amitabh Bachchan song will always be the pop video song that took India by storm called Ek rahen eer, ek rahen beer, it is a video that reminded us, not only can Big B do romance, he can become a pop culture phenomenon too. 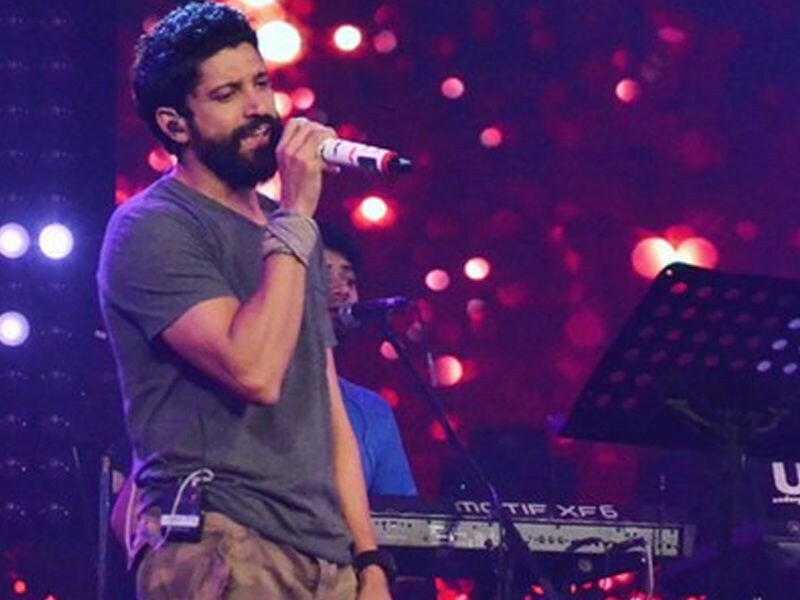 Farhan Akhtar: Meri Laundry ka ek bill, a song one automatically starts singing to is the Farhan Akhtar classic. A complete package of great acting skills, a superb director and a singer, the Rock On lead singer has gone on to sing for his other films as well. His distinct voice quality makes him easy to remember. His sister has also used his musical abilities in her film, Zindagi na Milegi Dobara. 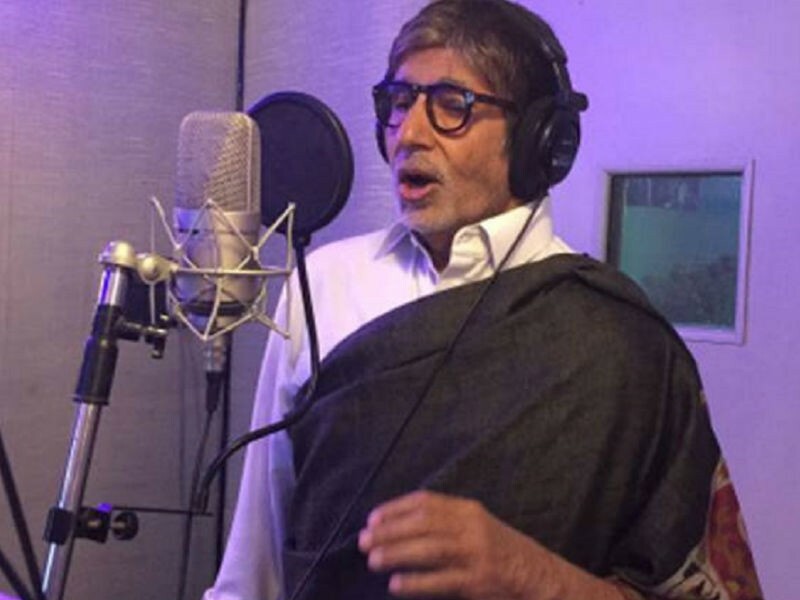 He and Big B have also sung a song called 'Yaari' together for their film, Wazir. Diljit Dosanjh: A house hold name in the Punjabi film industry, Diljit made his mark in Hindi cinema with his song Ik Kudi in Udta Punjab. It has only been upwards since then where he has sung in Phillauri and Noor. He will also be heard in his upcoming film, Soorma, where he plays the role of Sandeep Singh. The actor is also a huge pop star and is very well known for his music videos and songs. He has toured the world musically and seems to be gaining popularity even with non Punjabi audiences. Ayushmann Khurrana: Pani da rang vekhke was an eye opener for audiences all over when they heard newcomer Ayushmann sing as well as he did, post Vicky Donor, the actor has gone on to singing in all of his films. The latest being Nazm Nazm from Bareily ki Barfi, a heartfelt song that Ayushmann makes better with his voice. This roadies winner who struck gold in Bollywood has held his position as an actor and singer for over 5 years now, we can't wait to see what he comes up with in the future. Arunoday Singh: The parallel lead in Blackmail, who made his mark in the Bollywood film industry with films like Yeh Saali Zindagi and Aisha is also a singer. The actor who has been receiving praise for his role alongside Irrfan Khan also sings on stage. He is a theatre actor who was taken into musicals because of his booming voice and sound quality. He will be seen in the upcoming Broadway Show Sound of Music, that has been brought to India. Acting as Captain Vontrapp, audiences will get to hear him sing about the 'hills being alive' and ' Ave Maria.' Apart from acting and singing, Arunoday is also a poet and artist with a huge fan following on social media.